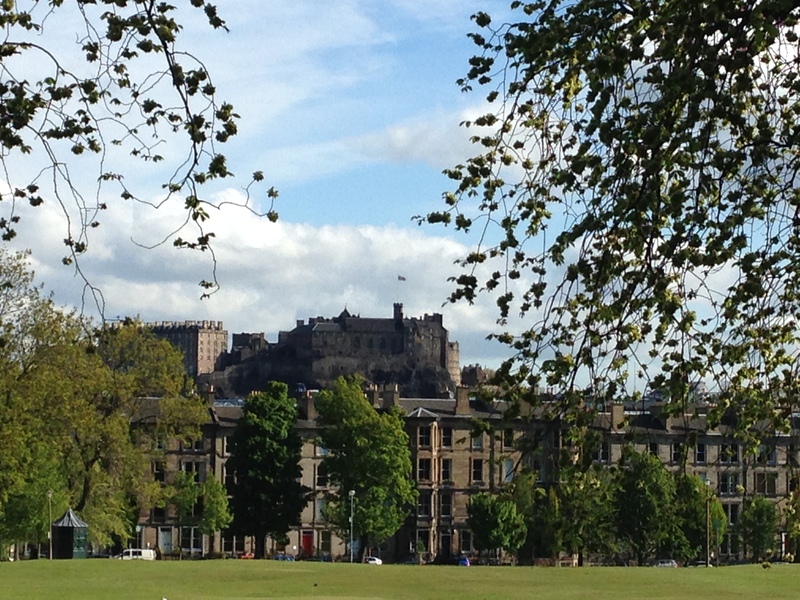 I am an Edinburgh-Zhejiang lecturer at the University of Edinburgh (UK). This is a day in my life. 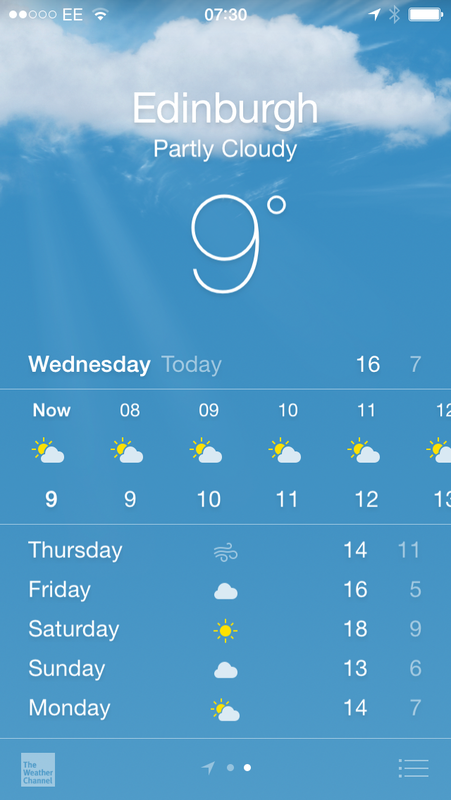 7:30 am – OK, it’s not California. But it’s not too bad. 9:00 am – I arrive at the office and start planning the day ahead. 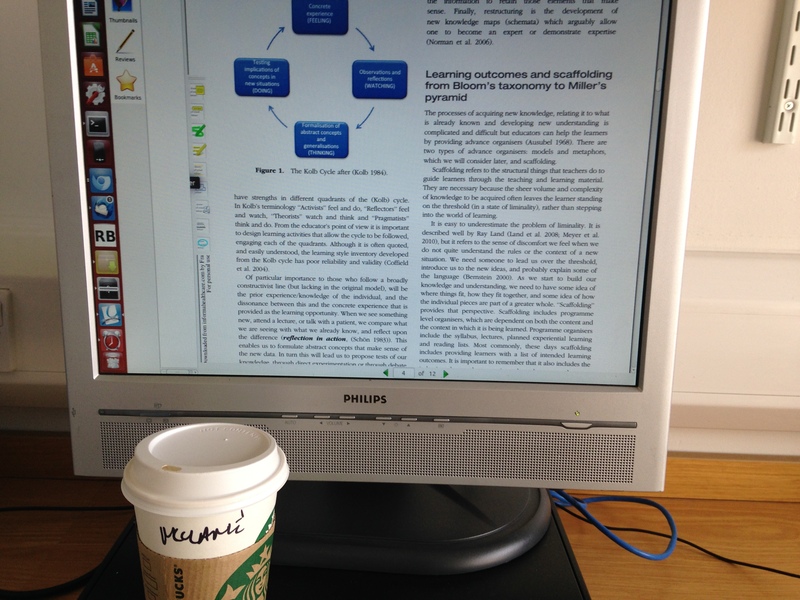 9:30 am – As part of Fellowship in Medical Education Research, I read up on adult learning theories – and have coffee, of course. 10:30 am – I work on my own research papers. We have one that’s recently been submitted – fingers crossed for another Ice Cream Day in the near future! 11:30 – I sneak off for a lunch break run. 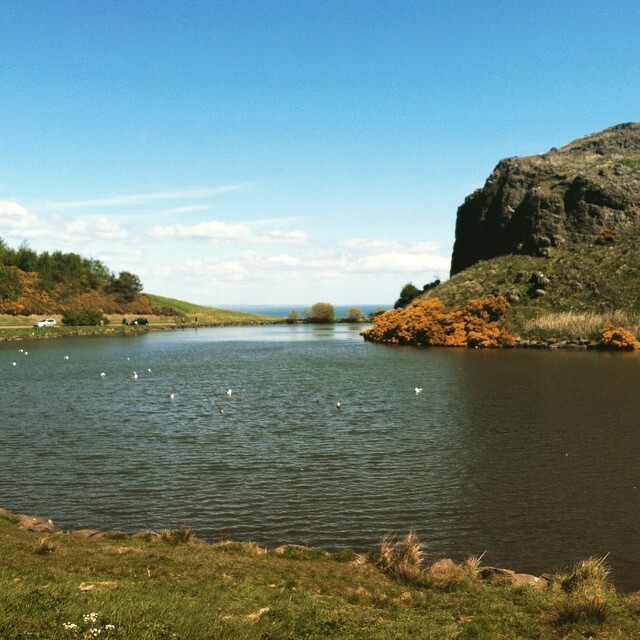 It’s not far from my office to Holyrood Park, which is perfect for running: Unpredictable weather, a lot of uphill running, a lot of downhill running, the occasional rabbit, and stunning views. 14:00 – After a shower and a quick lunch, I attend a meeting for all the new faculty at our research centre. Quite informative, and a good oppoertunity to meet some of my colleagues, since I only just started last month. 16:00 – That was a long meeting! I take notes, have coffee, and then work on a grant application that I’m preparing. Some more crossing of fingers will be in order, but before that, I have a lot more work to do. 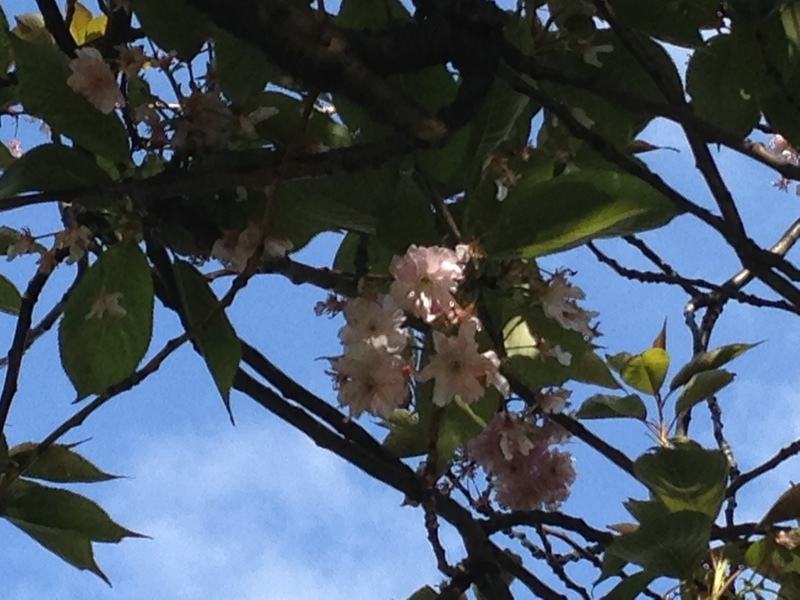 18:00 – Time for Chinese class! My new job involves spending 12 weeks a year in China to teach within a collaborative biomedical science degree programme at Zhejiang University. So, I figured it would be good to take a language class to learn some basic Chinese. Today, we learn how to talk about locations, and how to ask for phone numbers. 20:00 – I walk home from Chinese class, enjoying the mild Edinburgh spring evening and getting a little bit lost – as usual. 21:00 – Quick dinner, and a short round of making-my-flat-look-a-little-less-like-a-mess. 22:00 – Skyping with my boyfriend in London. Living in the same time zone sure does make things a lot easier! 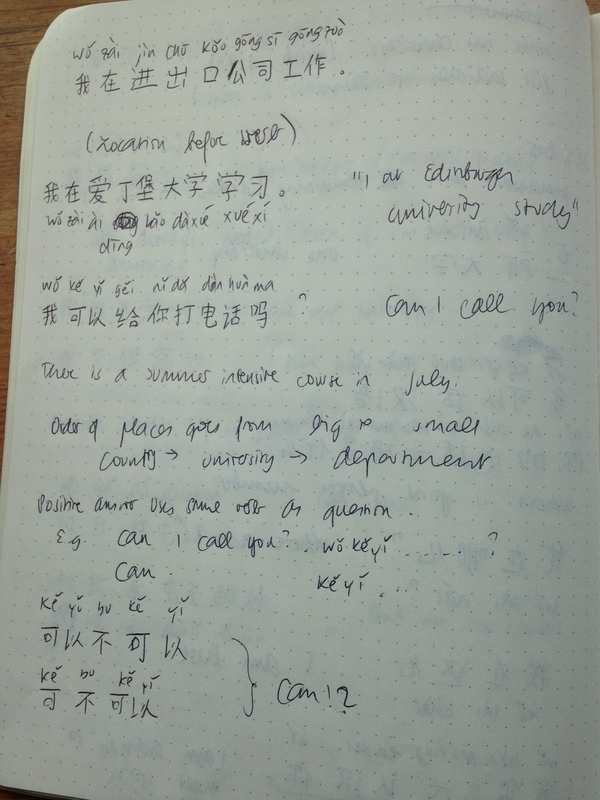 This entry was posted in Uncategorized and tagged day in the life, Edinburgh, language learning, life in the lab, Running, Zhejiang by melamelachan. Bookmark the permalink.